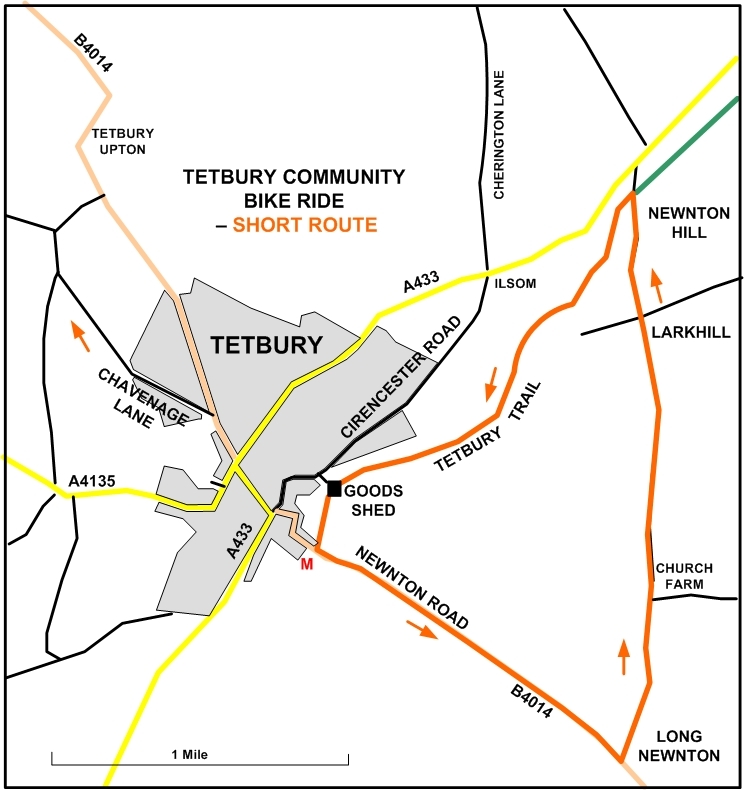 A sponsored charity cycle ride for everyone will be held on Sunday 9th June 2019 in aid of the Tetbury Trail and the Goods Shed Arts Centre. 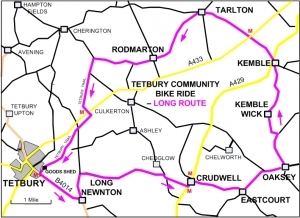 The Community Bike Ride will be raising money for the Tetbury community projects by involving as many people in Tetbury as possible. It also aims to raise awareness about the different charities involved and improve fitness by encouraging people to cycle. The Community Bike Ride is registered as an official ‘Bike Week’ event. The week is held annually to promote cycling, and show how cycling can easily be part of everyday life by encouraging cycling for everyone. 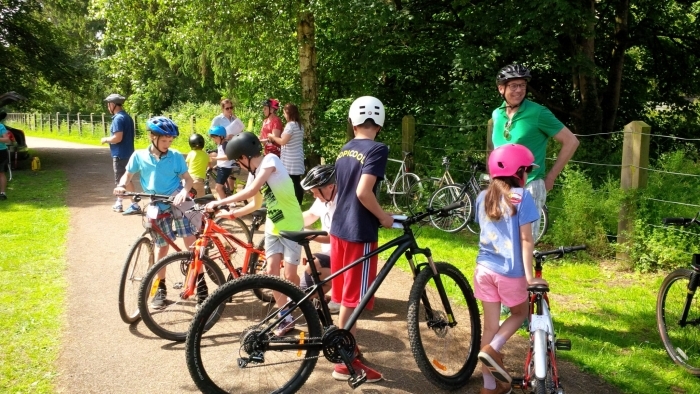 Demonstrating the social, health and environmental benefits of cycling, Bike Week aims to get people to give cycling a go all over the UK, whether this be for fun, as a means of getting around to work or school, the local shops or to visit friends. The Community Bike Ride will start and finish at the Goods Shed where cyclists can have Sunday lunch, sandwiches, tea and cakes etc and look around the stalls. 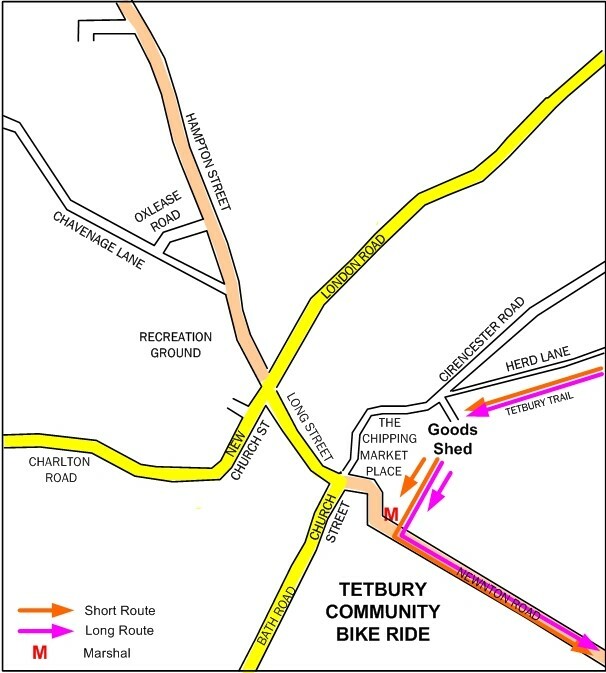 There will be two routes following the quiet lanes and through the pretty villages around Tetbury. 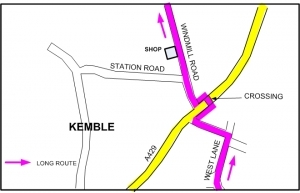 The shorter, five mile route for children and people of all abilities takes about an hour. 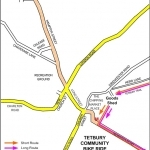 It starts at the Goods Shed then follows Newnton Road, Long Newnton, Church Farm, Larkhill and Newnton Hill, returning along the Tetbury Trail to the Goods Shed. Click on the thumbnail below for details of the start of both routes. The longer, 20 mile route for the fitter takes about two hours. 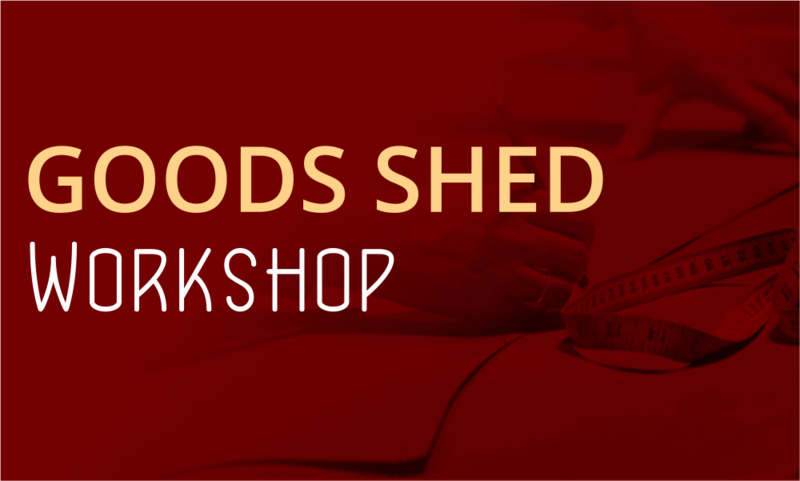 It starts at Goods Shed then follows Newnton Road, Long Newnton, Crudwell, Eastcourt, Oaksey, Kemble Wick, Kemble, Tarlton, Rodmarton, and back along the Tetbury Trail to the Goods Shed. 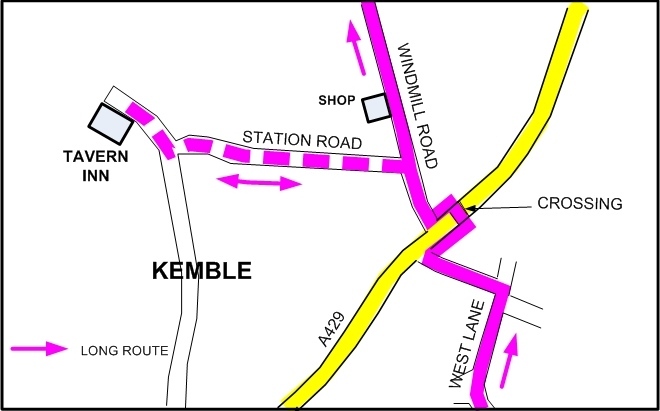 Click on the thumbnails below to see details of the routes though Crudwell and Kemble. 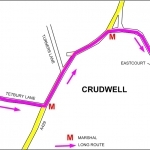 Both routes will be fully signed with Marshals at strategic crossings. Cyclists start between 10am and 11am from the Goods Shed. The event will finish at 1pm. A cycle mechanic will be present at the start to check and repair bicycles. Click the links below for help making sure your bikes are ‘ride-ready’. A breakdown rescue service will be operating all day. There will be prizes for the child and adult raising the most sponsorship money. 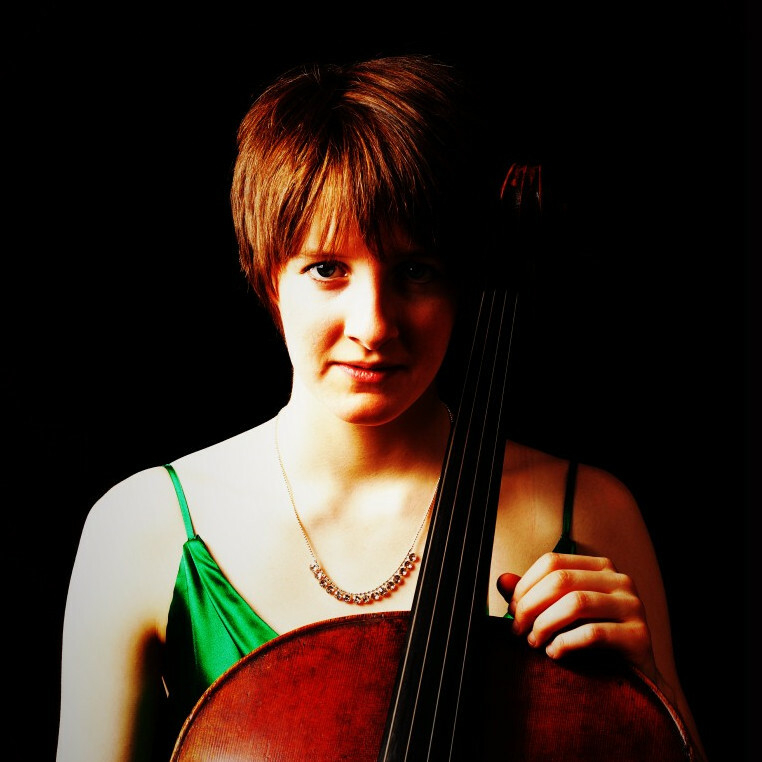 All participants who hand in their completed sponsorship form will be entered into a free prize draw.